The 4th International Open “Stadium Casablanca” was held from 23rd to 31st December in Zaragoza, Aragon, Spain. 124 players from 11 countries signed to participate, among them were ten Grandmasters. Winners of the previous tournaments are GMs Azer Mirzoev and Edouard Romain, and IM Cristhian Cruz. The surprising winner is FM Daniel Forcen Esteban, who shared the first place with GM Arthur Kogan, but took the trophy on the better tiebreak score. Forcen Esteban also claimed a Grandmaster norm. Stadium Casablanca is a multi-sports club founded in 1948, currently numbering about 20,000 subscribers and 3,000 active athletes. 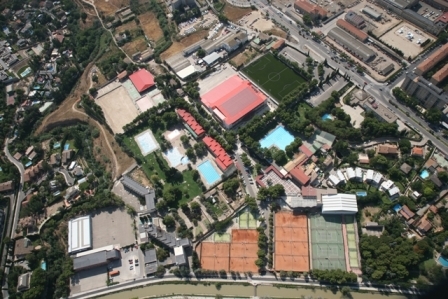 It has sports sections of chess, athletics, basketball, handball, snooker, football, mountaineering, skiing, swimming, water-polo, figure skating, baseball, cycling, triathlon and tennis.